Always practice on an empty stomach, is what I had been told. But it doesn’t work for me. One of the best part about yoga is, it makes you more aware of your body and what works best for it. I don’t like the discomforting feeling and the sound of my stomach grumbling, or the constant thoughts of food while I practice. So I eat just a few soaked dry fruits, or a fruit, not something as filling as a banana, maybe an orange or some watermelon, 3-4 minutes before my practice. But if empty stomach works for you, then that is fine. I prefer starting the practice either sitting or lying down for about 2 minutes, just observing the natural flow of my breath, letting my mind settle down. Preparing myself mentally for the practice followed by a shloka or OM chanting and then start with asanas. If you are a beginner, warm up is a must. I personally like to start with surya namaskars and sometimes variations. I like to work on my core muscles. Inverted postures are my favorite! So head and shoulder stands are a part of daily practice. Spine care is most important to me, it is the starting point of the nerves in our body. Forward and backward bending, supine, prone, spinal twist, all these are a part of my daily routine. If you are an athlete, or want a more dynamic form of yoga, I would recommend ashtanga yoga. Learning under a teacher is important, even if you are a regular practitioner, a teacher can take you deeper into your practice. I have traveled extensively, and learnt from so many different teachers which definitely enhanced my practice. I also include the kriyas. Jalneti, sutra neti, jal dhauti, etc once every two weeks. 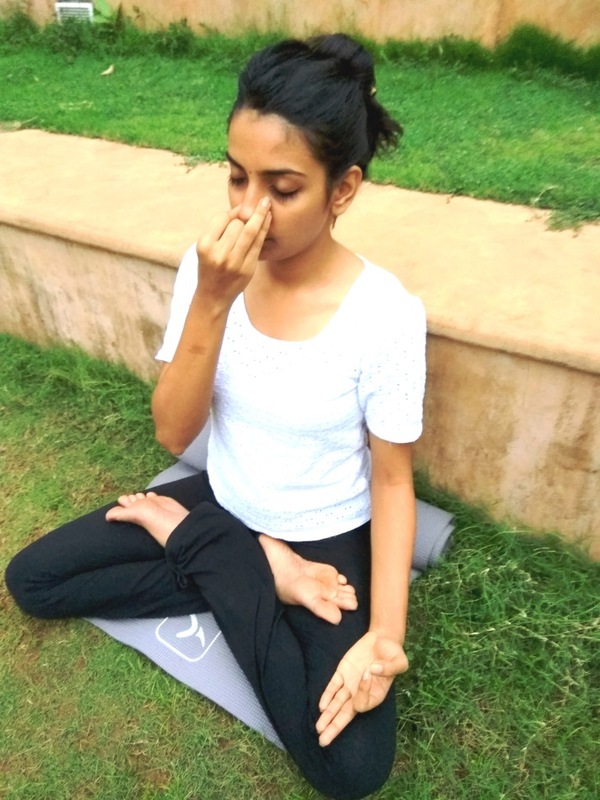 Kapalabhati, anulom-vilom, bhastrika, ujayi, mudra pranayam, and a technique called sudarshan kriya which is exclusively taught at the Art of Living®. It is said, pranayam is the greatest of all tapas. It makes your intellect razor sharp, improving your decision making. Increases lung capacity, we only use 30% of our lungs! What if you have to ride a bicycle with 30% air? It’s not going to be a smooth ride I can tell you. And this is exactly what happens with our life! You feel tired by afternoon, work is such a drag. Because you lack energy my dear, and that you can draw from your own breath. Asana and pranayama will help you increase your lung capacity. Your emotions are linked to your breath! How do you breathe when you are angry? Shallow and fast breaths, when tried and sad? naturally more emphasis is on the outgoing breath and when happy, you tend to inhale more. So by increasing you lung capacity and breathing fully, you tend to feel happy and energetic!! When there is no restlessness in the body or the mind, when both are relaxed and settled then meditation happens effortlessly. This brings me to the last part of my practice. After everything just sit with your eyes closed, being with whatever is happening, do not move an inch. It might be difficult in the beginning. But practice! Embrace all that is happening in the moment, pleasant or unpleasant and simply sit. And I promise, what you will find boring in the beginning, will open the floodgates to love, peace, and will soon become addictive! Today I can say this, my mat is where I’ve learnt to smile through it all. See my Wellintra yoga instructor profile here. 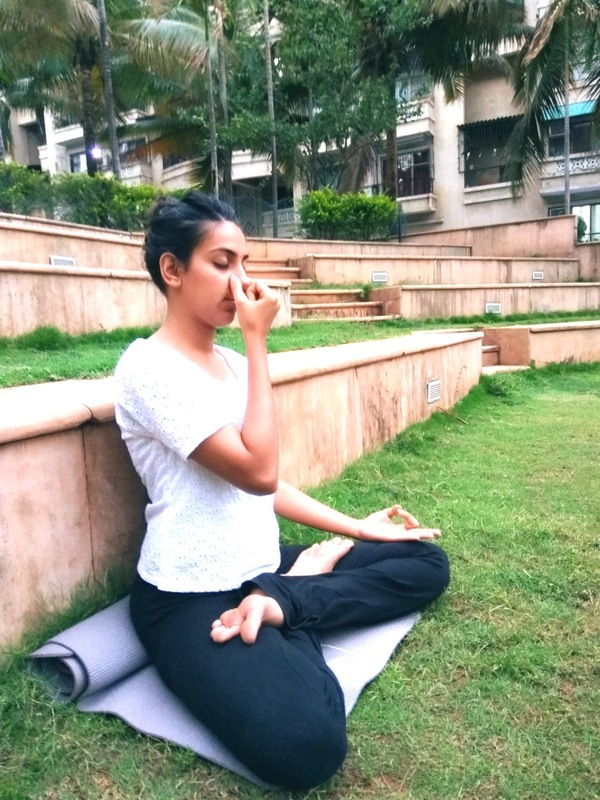 Meeta is an advanced Yoga Trainer & practitioner who trains Wellintra’s Clients in Andheri West & Lokhandwala. 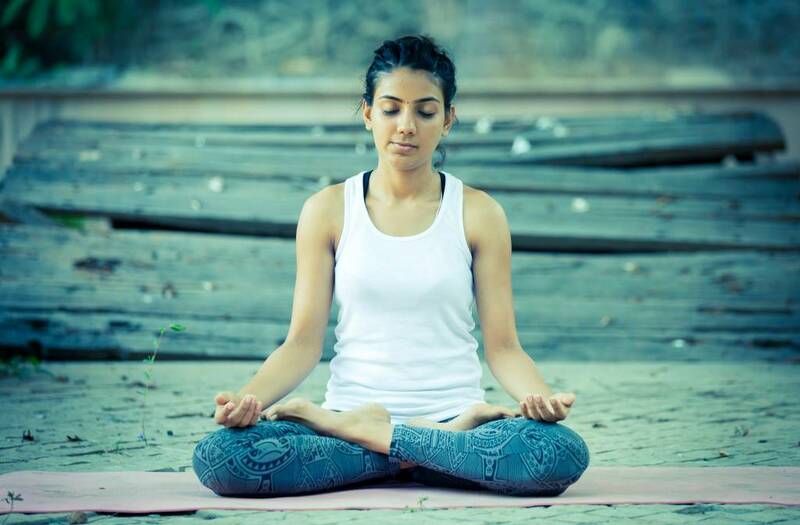 She has multiple qualifications as a yoga trainer and yoga therapist and is a much in-demand trainer as much for her knowledge as for her empathy and positive and patient teaching methods. Her teaching style benefits both beginner students of yoga as well as advanced students who enjoy her integrated mind-body-soul approach to yoga. She writes for the Wellintra Fitness Blog whenever she can spare some time from her hectic training and teaching schedule. Atin is the founder of Wellintra Fitness. Wellintra Fitness is India’s no.1 professionally managed and curated fitness training company that offers the best personal trainers to individuals and companies.